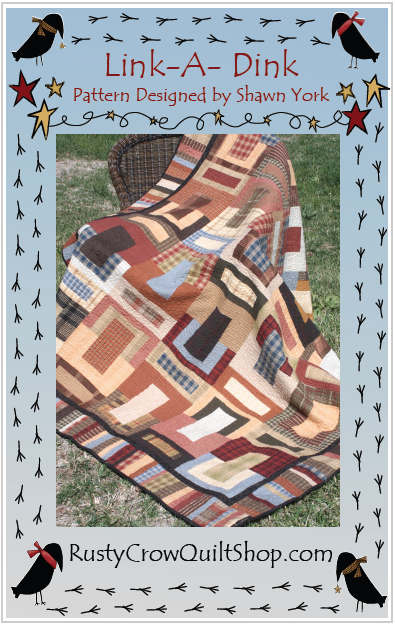 Big Belly is a series of Patterns intended for you to use up those precious quilts that are too old or worn to use everyday. 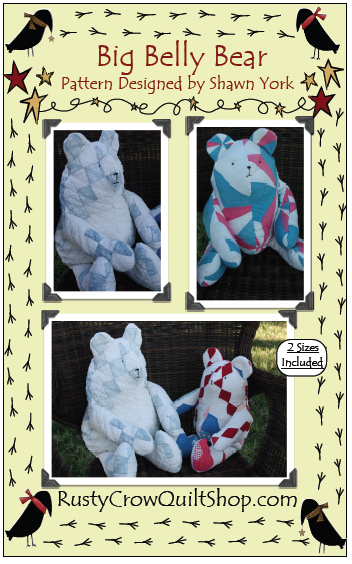 These patterns give them a new life, as adorable bears and elephants to delight anyone at any age. TheseTwo Patterns are my newest to the Rusty Crow Line Up. 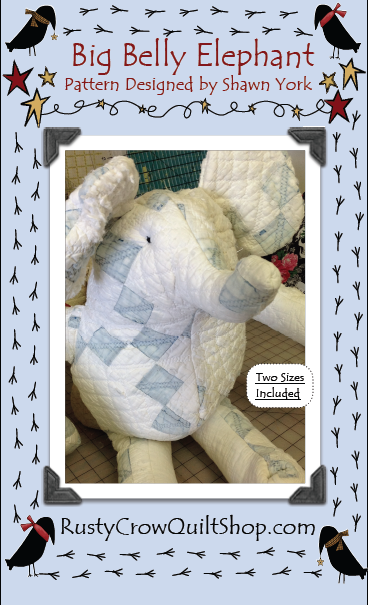 Big Belly Bear & Big Belly Elephant are our 2 of our newest Patterns. These patterns are a great way to use that old quilt that you can't quite let go of. Each pattern comes in two sizes, so depending on how much of a quilt you have left or how many animals you want to make out to the quilt you can. 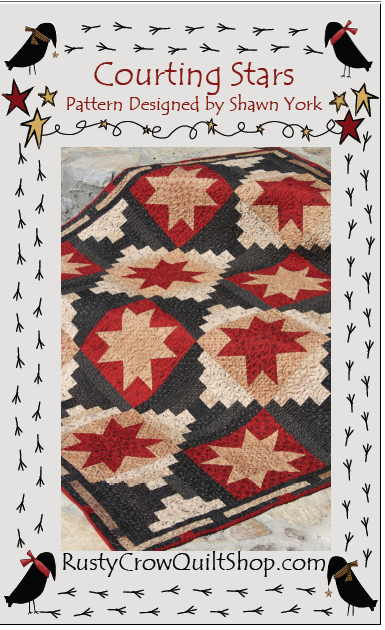 These are the newest quilt Patterns from Rusty Crow Quilt Shop. I designed these with our guys in mind. I hope that you enjoy them, as much as I had creating them.